People’s History Museum in Spinningfields, Manchester is the national museum of democracy, telling the story of its development in Britain: past, present, and future. The museum provides opportunities for people of all ages to learn about, be inspired by and get involved in ideas worth fighting for; ideas such as equality, social justice, co-operation, and a fair world for all. PHM offers a powerful programme with annual themes. Winner of Kids in Museums Family Friendly Museum Award. Enjoy the main galleries, Changing Exhibition Gallery and Community Gallery, along with interactives and activities for visitors of all ages. Browse the shop for unique books and gifts and round off your day with a bite to eat in The Left Bank cafe bar. 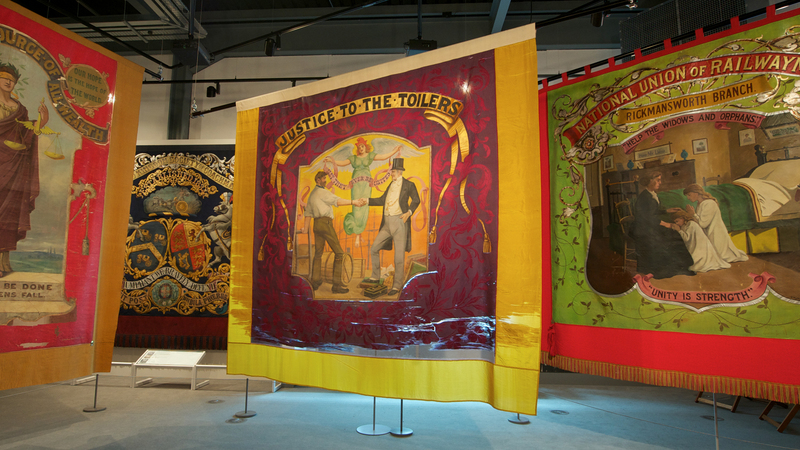 People’s History Museum is open seven days a week from 10.00am to 5.00pm, Radical Lates are on the second Thursday each month, open until 8.00pm. The museum is free to enter with a suggested donation of £5. To find out about visiting the museum, its full exhibition and events programme visit phm.org.uk. Houses The Left Bank cafe bar, with the sunniest riverside terrace in the city!